Countdown to Christmas with this super easy Santa's belt countdown calendar. 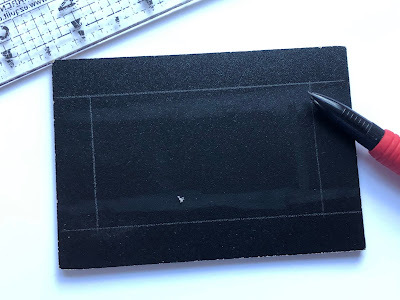 For those of us who don't have a cutting machine, this is quick and easy to make and still looks awesome. I love counting down to holidays. It’s both wonderful and sad to see the Christmas holiday coming so fast. It wonderful to see all the holiday cheer springing up in the neighbors yards as well as sad to see how we can miss all the little moments because it’s coming so fast. 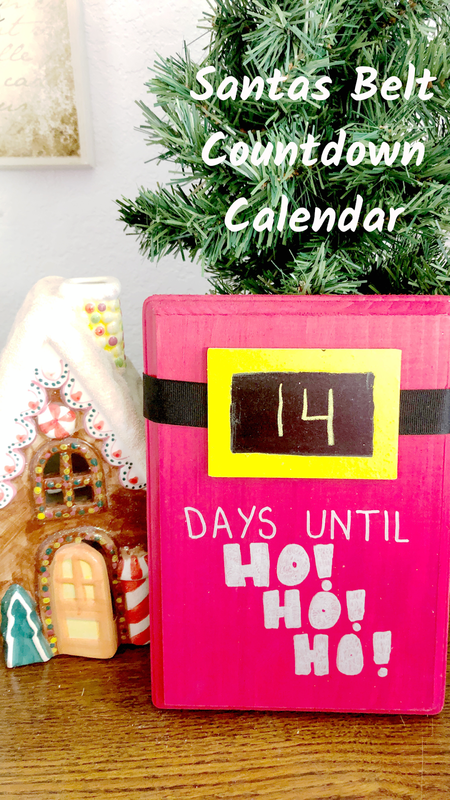 But I continue to countdown towards the holidays and find new and fun ways to do it. If your like me and want a super easy way to make a countdown calendar (even if you don’t have a cutting machine) know that it can be done. 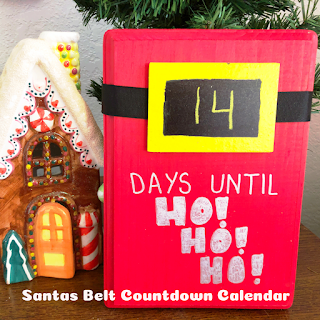 This Santa’s belt countdown calendar is perfect for our Santa Christmas theme and was quick to put together. Start with a quick trip to your local craft store or an Amazon prime run. To make it easier, I found a small chalkboard sign. I carefully removed the sign post. Carefully paint a yellow border around the outside to the chalkboard sign. 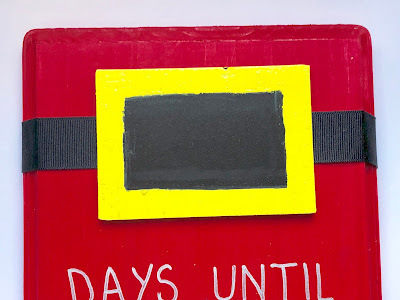 This will make it look like Santa’s belt and allow you to change the date to countdown until Christmas. 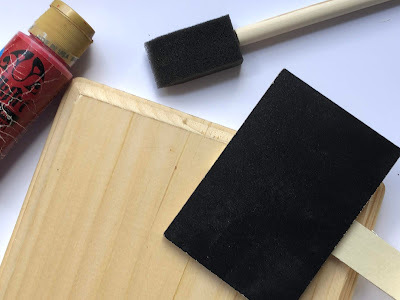 Paint your wooden board red and allow to dry. 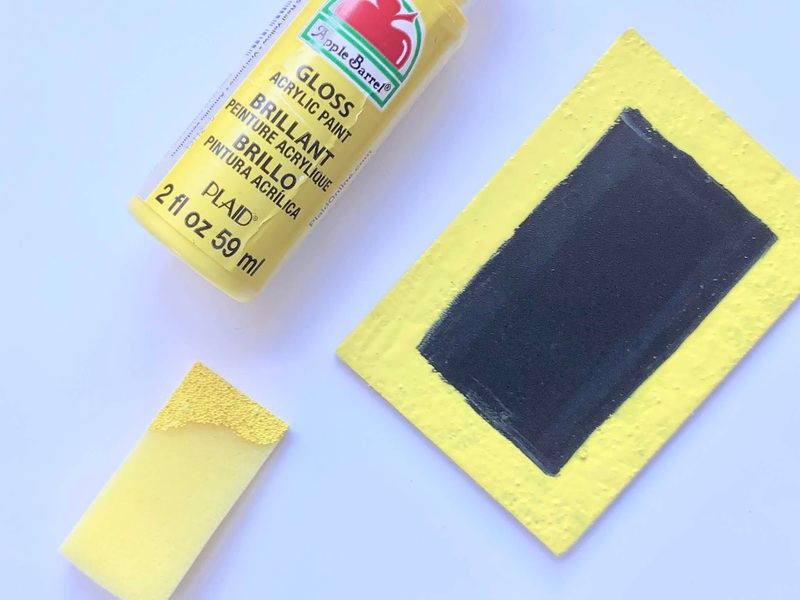 When dry,Wrap the black ribbon around the top half of your board and glue your chalkboard sign to the top. If you are lucky enough to have a cutting machine, you can make your letters. 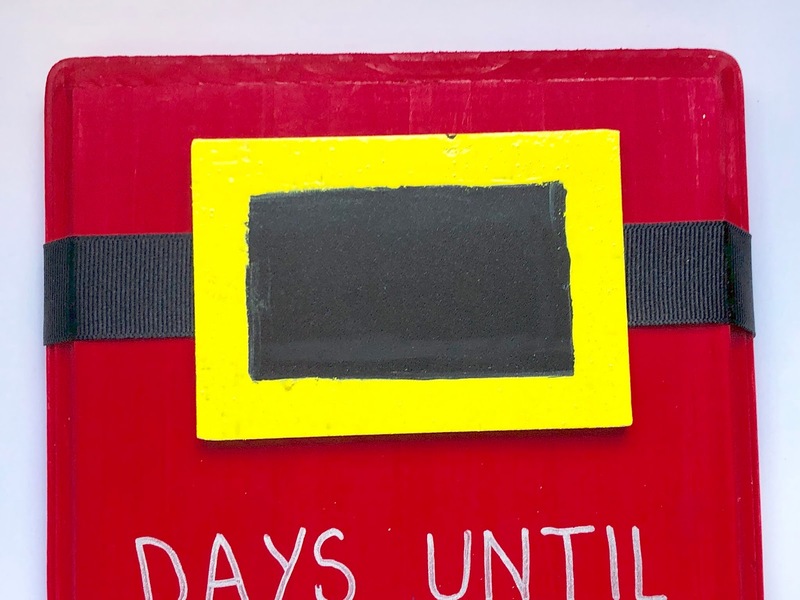 If not, use a Silver Sharpie to write out "Days Until Ho! Ho! Ho!" below the belt. Allow everything to dry. Use a chalk pen to write how many days until Christmas and then change it everyday for a fun way to countdown.